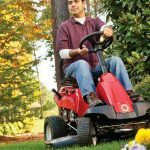 Growing up as a kid I was always bugging my dad to let me mow the lawn and that was because we happened to own a riding mower – it wasn’t just about cutting the lawn, it was an opportunity to drive! All young boys can’t wait for their first opportunity to drive and I was no different. Like most adults these days I’ve long since obtained my own license and bought more than my fair share of vehicles, but I’ve never lost that love affair with a riding lawnmower. The riding lawnmowers of today are a lot different from the ones that were around when I was a child, and if anything they’re a lot more fun and useful. 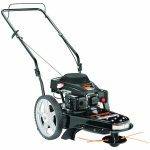 One lawnmower that epitomizes the transition from riding lawnmowers that are simply designed for cutting the lawn and ones that are more of a complete utility vehicle is the Raven MPV7100 Hybrid Riding Lawnmower. 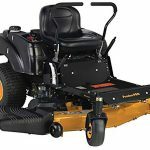 This is a machine designed to do a whole lot more and, as you might expect, for a decent riding lawnmower you will have to be prepared to pay a little extra. This model is normally available for just under $3000. 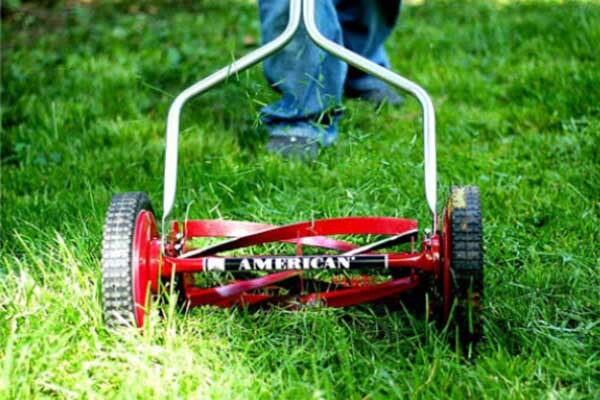 Probably the most important aspect of a riding lawnmower that’s designed with the intention of making it easier and more convenient to cut the lawn on a large piece of property is that it has a powerful enough engine to handle the job. 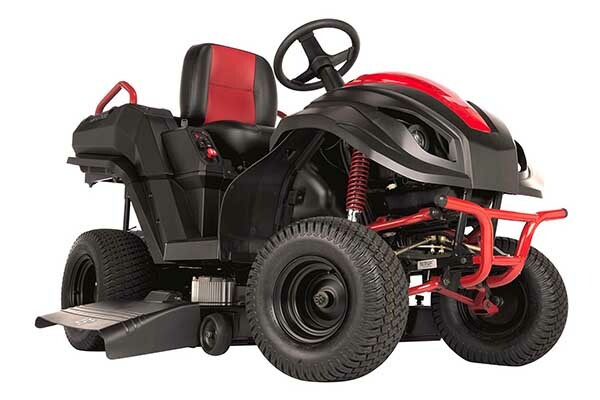 This Raven riding lawnmower is more than capable of handling everything you can throw at it, with a powerful 420 cc gasoline powered engine so you won’t have any issues cutting through acres and acres of grass. I was really surprised and quite excited to find out that the gasoline powered engine of this hybrid riding lawnmower also powers an onboard generator that’s designed to provide power to built-in outlets and blades, and to charge the batteries on an ongoing basis. 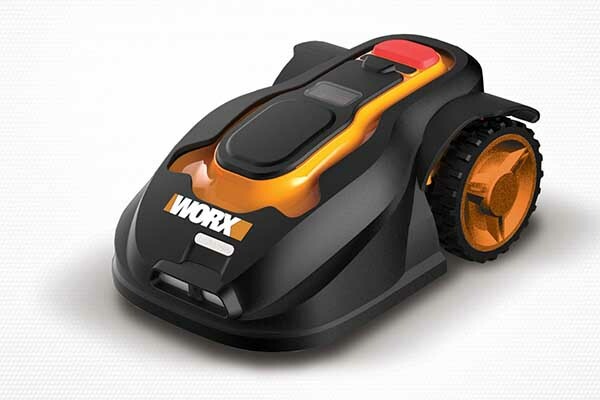 That means if you have an important project to work on that happens to be at the back of your property well away from any available power outlets you can use this vehicle to plug in your equipment and go to work. Repairing that fence in the middle of your property is no longer an issue if you own one of these. When the work is over and you’re ready to have a little fun you don’t have to park this machine in the shed or the garage. 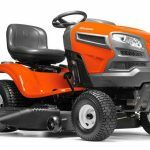 In fact, all you have to do is remove the fully-detachable lawn mower deck from underneath, and your new riding lawnmower becomes a very competent off road vehicle. This is great if you’re an avid hunter or birdwatcher, or if you just like to rip around your property and enjoy the feeling of the wind in your hair. I have to admit it would’ve been fun having one of these to cut my father’s lawn all those years ago. It’s designed to go at a top speed of about 17 mph – it won’t break any speed records, but it’s more than adequate to get you where you’re going. 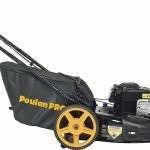 As far as lawn maintenance is concerned, the Raven MPV7100 isn’t only good for cutting your lawn – it’s also designed for mulching and for use as a vacuum. That means you can get your lawn ready for the summer with a mulch in the spring and use the vacuum to remove those leftover leaves after the snow melts. This really is a machine that seems to do it all. 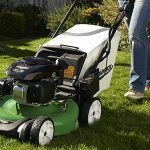 One thing that’s really important when you’re looking at a riding lawnmower is how well it does in tight spaces, as most people’s lawns inevitably have a few areas that are difficult to navigate. That’s not an issue with this machine as it has a turning radius of 14 inches, which means it essentially turns on a dime and is capable of cutting around trees and other small circular areas. Making those tight turns is also a lot of fun for the kid in all of us. 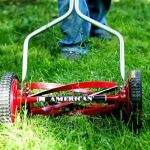 As a hybrid machine this little lawnmower is essentially like a mini tractor – it’s designed to help you with all aspects of your yard work. With that in mind it also comes equipped with a back storage bed that you can use for transporting all kinds of items. It has a towing capacity of about 550 pounds that is more than adequate for most yard work duties. It sure beats pushing things around in a wheelbarrow. To be honest there really isn’t a lot not to like about this machine. 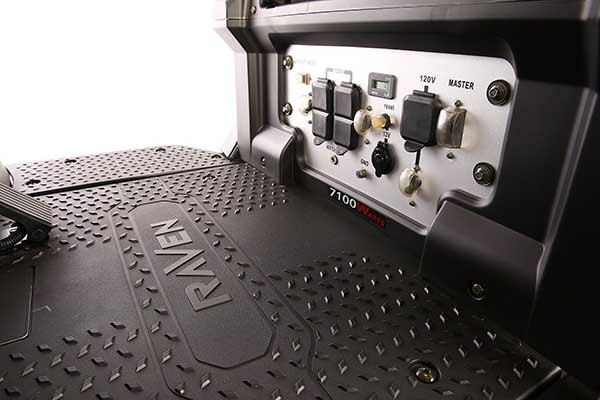 The Raven MPV7100 Hybrid Riding Lawnmower is a powerful machine with a lot of great features, but there are a couple of minor concerns that some customers may notice after purchasing this machine. It does have a tendency to leak some oil if the drainage plug isn’t tightened properly – that shouldn’t be an issue if you’re careful, but it is a potential problem. Perhaps the biggest problem is removing the lawn mower deck so that you can use it as an off-road vehicle. This isn’t the simplest process and if you’re not mechanically inclined at all you’re probably going to have difficulty with this. That might sound a little frustrating, but when you consider the fact that most riding lawnmowers don’t even offer this option it’s probably a small price to pay. 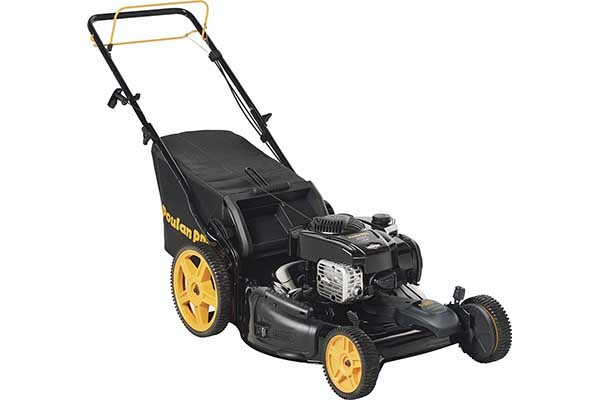 There’s no doubt that this Raven riding lawnmower is a machine designed to get the job done. It’s great at cutting the lawn and it also works well as an off-road vehicle as well. To top it all off, when an outlet isn’t around it can substitute as a powerful, portable generator as well. If you’re in the market for a riding lawnmower you can certainly do a lot worse.